Provide comfort for the family of Pat Rivers Coley with a meaningful gesture of sympathy. Pat Rivers-Coley is now with the Lord. Pat moved into her new eternal body and home on February 06, 2019. We called her Mom, while others called her Patsy. All along her birth name was Patsy Patricia, yes, she was Pat, Pat. She preferred just “Pat” and she adopted the middle name Ann. Pat was a very active woman even into her early 80’s. We won’t tell you her age because she always said, “you never ask a lady her age”. Pat was born in a small house that was near a creek in Carter County. She was one of seventeen children born to Arthur Warren and Ora Alice Gage. She is survived by four of those children, sisters Jean Cox (Oklahoma City), Mary Landato (Gilbert, AZ), Finis Stakey (Choctaw, OK), and brother Jerry Gage (Oklahoma City). When she arrived at her heavenly home she was greeted by her Savior Jesus Christ, along with James Rivers her husband of 32 years, her son, Lewis Jordan Jr.(Oklahoma City),her daughter, Sue Pratt (Oklahoma City), grand-daughter Shala Kemp(Moore), and numerous brothers and sisters. During her life, Pat was a volunteer for numerous years at Southwest Medical Center, an active member of Brookwood Baptist in the choir, a senior 5k gold medal winner of “speed walking” and a state licensed barber ( she went to barber school at the age of 50). Pat was the mother to four children. She is survived by her daughter, Jane Kroeker, husband Larry of Norman, son Pastor David Rivers, wife Kim of Bridgecreek. Grandchildren, Josh Roby, wife Jenny, Jenny Roby, Jordan Roby, Jeremiah Rivers, wife Tiffany, Cassie Rigsby, husband Charlton, Shawn Staats, and Serena Graham, husband Mike, along with 13 great grandchildren. Pat had a very special companion, Harold Hart of Oklahoma City who showed her unconditional love and caring. In her final years of dementia, Harold was her constant companion who cared for her every need. When she lost her ability to speak he became her voice, when she forgot how to eat, he fed her, and when she could barely walk he became her encourager. Harold was the one person who could put a huge smile on her face even during her last days. Pat lived her last 5 years at Village on the Park, Independent Living. The entire community became a family to her along with the incredible staff. Pat’s Funeral Service will be conducted by her son, Pastor David Rivers (Ridgecrest Baptist Church) and Seniors Pastor, Robert Griffin (Brookwood Baptist). This service will be held at Brookwood Baptist Church, 8921 S. Walker Ave, Oklahoma City on Saturday, Feb. 9 at 10:00. Interment to follow at Resthaven. Viewing times will be Thursday, Feb 7 and 8th from 4:00-8:00. The family will be present on Friday, Feb. 8th from 6:00-8:00. The family chose Vondel Smith South Lakes to make memorial arrangements. Memorial gifts can be made to “Hope For The Future" primary school in Kachere, Africa by check to Ridgecrest Baptist Church, 1118 S. Sara Rd. Blanchard, Ok 73010 or PayPal-ridgcrest@pldi.net in the memo "school". 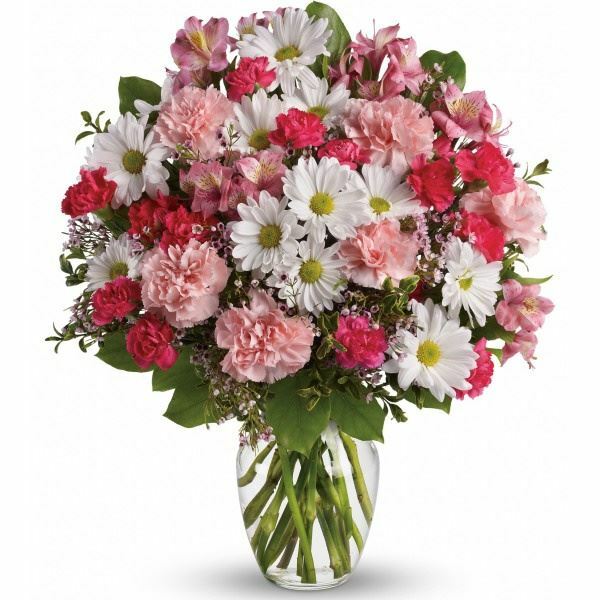 To send flowers in memory of Pat Rivers Coley, please visit our Heartfelt Sympathies Store. We encourage you to share your most beloved memories of Pat Rivers Coley here, so that the family and other loved ones can always see it. You can upload cherished photographs, or share your favorite stories, and can even comment on those shared by others. Lynn & Julie sent flowers to the family of Pat Rivers Coley. Our thought and prayers are with you all. Lynn & Julie purchased flowers for the family of Pat Rivers Coley. I am so sorry for the family’s loss. Death is one of the hardest trials to cope with. May you find comfort from the future promise recorded in Revelation 21:4 which says “he [God] will wipe out every tear from their eyes and death will be no more.” We have assurance from God’s word the Bible and we can be certain God will fulfill the words from his word.